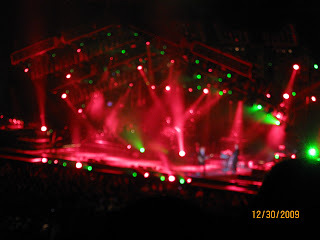 Last December of 2009, we took my mother in law to this one famous concert called Trans-Siberian Orchestra. They are from buffalo city and yes they have conducted major concerts all over the country. 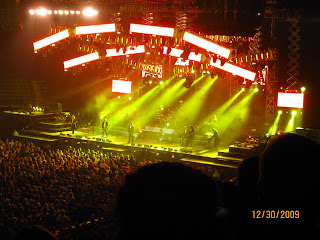 Hubby always took MIL to watch the concert yearly, and this time we treated her out that day. 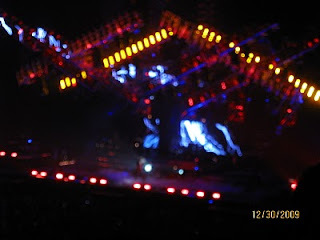 Loved the concert, it was amazing the musics, lights effects and the bounding we did as a family. The show ended early around 8pm because they have another show around 9pm. It was an hours to get to the venue but it is worth it. 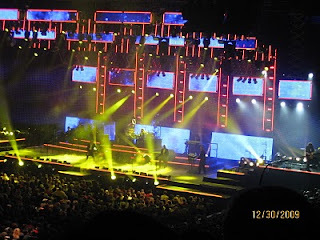 Under is some pictures I took from the show, I tried not to make it blurry because lights and the consistent movement creates a blurry outcome. But I guess it turns out perfect and seen-able. Wow! The stage set up and lighting looks fantastic. It's been a while since I watched a concert that big. I'm sure you had a time. Thank you for sharing. More blessings to you and your family.